The 2015 Ford Mustang is garnering a lot of attention as we build up to the 50th anniversary of the iconic pony car. According to the Blue Oval’s latest update on the 2015 model, the experts have reimagined the classic shape of the Mustang so that its iconic character is retained yet fuel efficiency and performance are improved by subtle aerodynamic alterations. 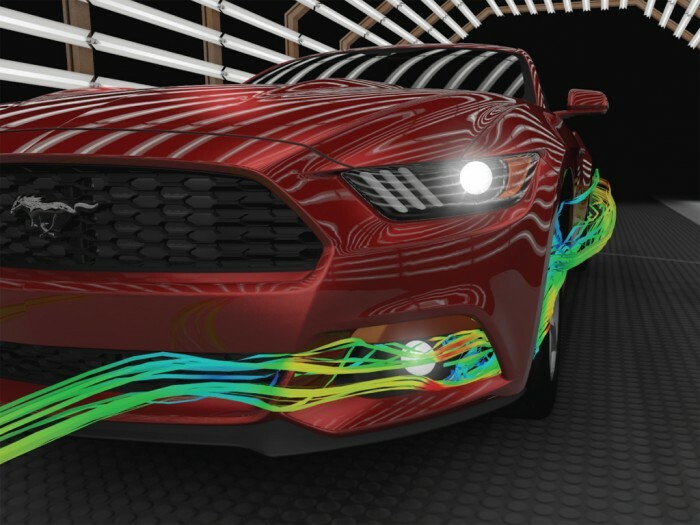 The 2015 Mustang aerodynamics play a crucial role for the American muscle car. As speed increases, the force needed to push forward and overcome drag shoots up exponentially. 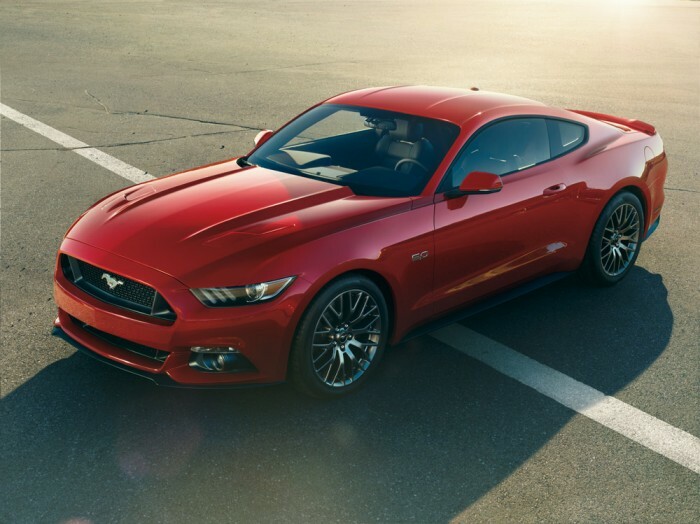 Ford gives this example: “twice the speed requires eight times the horsepower.” Improving the aerodynamics of the 2015 Mustang while maintaining the classic design, therefore, was one of the biggest challenges for the engineers, but also among the most important. So what do the 2015 Mustang aerodynamics tweaks include? For starters, Ford wanted to reduce aerodynamic drag from the rotating wheels of the Mustang but did not want to compromise the appearance by enclosing them in skirts. Instead, Widmann and his team placed vertical slots in the outer edge of the front fascia that are meant to channel air from the Mustang’s front in the wheel wells, redirecting it across the outer surface of the wheels. In addition, Widmann and his team designed three different grilles, each one for one of the three specific engines. These grilles allow just enough air to flow into the engine bay to keep the engine cool, but no more than that, to decrease drag. The 2.3-liter EcoBoost®-powered Mustang will be even more efficient with active grille shutters. Finally, the aerodynamics team worked to keep the car planted. Splitters and air dams located below the front fascia will minimize air under the car while vents in the hood will contribute to keeping the Mustang planted. After all was said and done, overall drag force for the 2015 Mustang was cut by 3 percent, which will result in a 1 percent increase in fuel efficiency.